Packing for holiday is never the easiest task, especially when you’re filling suitcases for more than just yourself, so in my latest video I show how to get the most out of one key piece in your holiday wardrobe so you can travel lighter and still look effortlessly stylish summer-long. 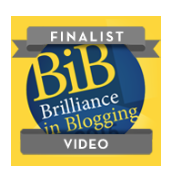 I’d like to thank everyone that voted for CocoMamaStyle in the video category in the BritMums #BIBs2015 awards – I made it to the finals! Thank you so so much, the winners (chosen by a judging panel) will be announced at the awards ceremony held on 19th June – fingers crossed!